In just one year, President Duterte’s War on Drugs has been responsible for over 12,000 killings in the Philippines, including women and children. Just last week, over 80 people were killed, making it the bloodiest week of Duterte’s Drug War. Among those murdered was 17 year old high school student Kian Loyd De Los Santos who was shot twice in the head. According to witness accounts and security camera footage, the four armed police officers who harassed Kian before murdering him found no evidence of drugs on him. 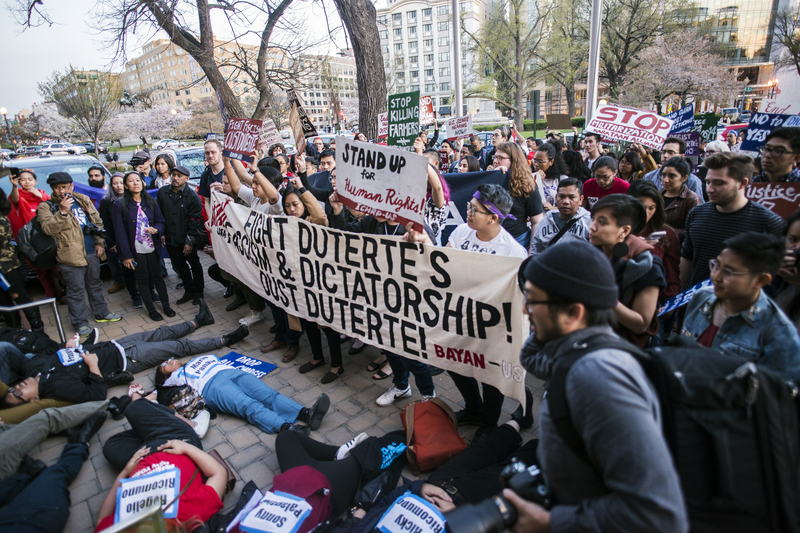 We join the international community in calling for an end to the Duterte regime’s war on the poor and to instead address the root causes of the drug problem – including poverty, landlessness, and joblessness. Stop the Killings! Stop the War on the Poor! Jobs, Education, and Healthcare for the People!